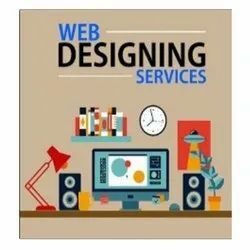 Are you searching for a website designing company in Ahmedabad which will efficiently help you increase the organization's online presence inside competitive market Have you been wishing to get your company to next levels while using website which includes proper stability of looks and information. Today in the age of digital marketing your prospective customers would first visit your website, go through all the details and then place an enquiry. Even if you are manufacturing quality products or providing high end services but if your website doesn’t appeal your prospective customer you might loose that business. Whether it's a small marketing site or a large complex web application, we can help. From the initial concept through to the finished article we know what we're doing and we do it well. Bird's Eye is a leading web design firm that offers only affordable and low cost web design services. We have planned, created 50+ of successful websites since our origin, for small and medium enterprises. Our core values are very vital that describe our fir culture, and our expert web design and development team make all efforts to live them. We create cool affordable websites from our website design studio in India. We build professional websites for small businesses, corporates and institutional clients. In website design we provide outstanding and attractive website design, website development, flash website design, flash presentation, flash banner, website template, website icons and many more.